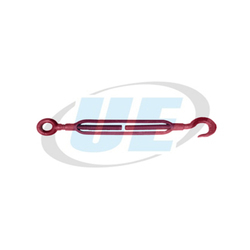 Our clients can avail from us outstanding range of Eye Hook, which is used to maximize easy attachment in system. Our range of Eye bolts are commonly used to attach cables to objects and highly appreciated by clients for its great tensile strength, durability and longer service life. Economically priced these products can be availed in various customization as per clients requirements. 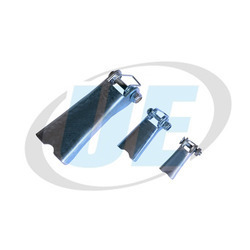 We are leading manufacturers and suppiers of Turn Buckle Eye Hook. 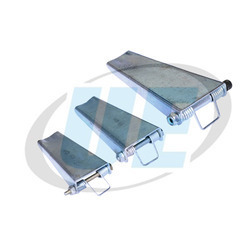 Turn buckles are devices used to adjust the tension and length of such things as cables, tie rods, ropes and other tensioning systems. The tension is adjusted by rotating the frame, which in turn causes both eyelets of the turnbuckle to be screwed in or out simultaneously, without twisting the eyelets or the attached tensioning system. With sincerity and hard work of our professionals, we have carved a niche for ourselves in this domain by offering Eye Hook. 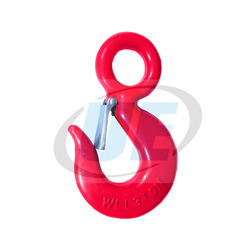 Hook is used in industrial and other applications that required a large amount of tension. They can range in mass from a few grams for thin cable wiring to thousands of kilograms for large-scale structural elements found in suspension bridges and in buildings. Other uses include aircraft, shipping, and pipe systems to name a few. Hook is often used in conjunction with an eyebolt. Samco sells a wide range of eyebolts that include regular eye bolts, machine shoulder eye bolts, eye nuts, and shouldered eye bolts. Being one of the reputed organizations in the market, we are engaged in manufacturing, distributing and supplying an exclusive range of Swivel Eye Hooks. 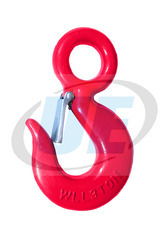 The offered eye hooks are ideal for light duty marine and industrial applications. This swivel hook features a removable latch. It is precision cast and made from 316 stainless steel for maximum corrosion resistance and durability. 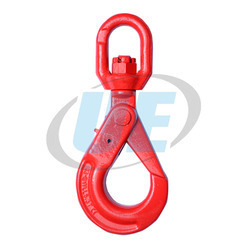 The provided hooks include safety-engineered style, forged style, and stainless steel hoist rings. Swivel Hoist Rings are designed for lifting at any angle because they can swivel 360 degrees and pivot 180 degrees. Our swivel hoist rings are manufactured using the best AISI 4140 Aircraft Grade Chrome-Moly available. All of our 4140 material is metallurgically analyzed and certified. 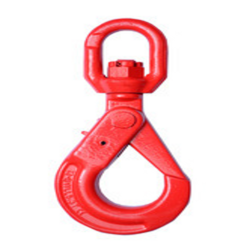 We are engaged in manufacturing and supplying Swivel Self Locking Eye Hook. 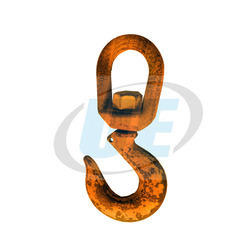 We are leading suppliers of Clevis Eye Hook. 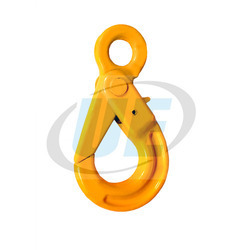 We are engaged in offering Swivel Self Locking Eye Hook. Forged Alloy Steel- Quenched and Tempered.